Gerard is a lovely man who took very good care of us. I highly recommend him. TOUR GUIDE RESPONSE: Thank you for your review. It was a pleasure to share the Cork region with you both .The rain and strong winds, we could have done without . Thank you again and safe cruising on the Irish Sea . We really enjoyed our traveling through the country side of Ireland with Gerard. He was very easy to chat with and had interesting stories to tell about the sites and just good natured conversation. He took us to some remote areas that we would have not experienced on our own. If you have a particular interest in something, he can research a good spot to see. I would definitely recommend using Gerard for touring! Absolutely awesome!! This was our first trip to Ireland and we had limited time. Gerard knew how to help us make the most of our time. He was friendly, flexible, knowledgeable...not to mention a great driver and photographer!! His love of history and the country are contagious and made our trip a time we will always treasure and not soon forget. We can't wait to come back...thank you Gerard!! We'll see you next time! First class tour with a first class driver. The highlight of our trip to Ireland!!! Gerard is a fabulous guide. Select any tour from his list and you will not be disappointed. Also, he is quite flexible and will develop a tour to meet your interests. He is most personable, has great vehicles and I will never go to Ireland again without spending time with Gerard. Book your tour with Gerard and you will love your trip to Ireland. TOUR GUIDE RESPONSE: Fred . Thank you so much for the great review. I think, I have most of Ireland covered and I try to develop the tour with the guests interests in mind . As we go along the roads and chat about things ,I quickly learn what people like and then change the tour to make it as enjoyable as I can . Everyone is different and so every tour is different . The route may be much the same but Ireland has so much to offer . Thank you again I hope to see you soon with the entire family, I will get the coach ready . Gerard is a very knowledgeable and accommodating travel companion. Having spent his entire life in Ireland, Gerard's depth of geographic and historic knowledge is prodigious. My wife and I felt very at ease touring the Cork area with Gerard and we plan to book him next year on out return. Gerard was an amazing guide, who provided top shelf service. Loved touring with him, to Kylemore Abbey, Connemera, Cong, Adare, Cliffs of Moher & The Burren and wonderful other sites we were not even scheduled to see! He had great tips for us every where we went and was very generous with his Irish history and up to date information! Gerard was so passionate and knowledgeable about the areas we visited, he made the trip a memorable one we will always cherish. TOUR GUIDE RESPONSE: Thank you for your 5 Star rating . Amazing tour guide. Excellent knowledge and very personable. We booked him as an excursion from our ship. He was very conscientious of our time frame and had us back to our ship in plenty of time. He showed us some of the most amazing sites in Cobh, Ireland. He is a must! We spent 3 days with Gerard; what an amazing adventure and an incredible guide. We presented Gerard with a pretty impressive list of sights we wanted to visit; and we were able to see a large number of them (several were just not feasible). What a I really loved was how he shared quite a few spots that we have never heard of and they ended up being a highlight to our tour. Gerard was a great guide. He took us to the Killarney National Park and Kenmare. We were able to see so much and he gave us plenty of history as we went. He knew good places to eat and shop as well. Gerard was a wonderful guide! He was always prompt and made sure we always knew exactly when and where we were going and meeting him. He showed us all the places we were expecting and several smaller places we found beautiful and interesting like the perfumery and Finian's Well. He answered all our questions and showed us a great time watching hurling. We had two wonderful days learning and laughing with a very nice gentleman! Gerard was wonderful! So calm and professional and so very informative. He made our trip to Cobh fantastic. We had a group of 6 including 2 teenagers and 2 grandparents and he was perfect for us all. Extremely professional and I recommend him highly! TOUR GUIDE RESPONSE: Thank you for taking the time to submit a review . I am delighted you enjoyed your tour and I look forward to a return visit to enjoy a little more of the Island of Ireland . Gerard was a wonderful guide and an absolute delight! He took me, my husband, and our daughter all over the Dingle peninsula, including little, off-the-beaten-path places that were so special! No motor coaches! All the sights are spectacular and Gerard was knowledgeable, funny, and flexible. He is a very safe and competent driver. Because of his commentary, his knowledge of the area, and his confidence on the road, we were able to sit back and soak it all in. Highly recommend! Gerard provided us with a wonderful tour of the Beara peninsular, The Gardens at the Island of Garnish,a taste of Killarney and the Kerry area...Taking us to places a little off the beaten track ,he provided us with a day to remember.Gerard is personable and upbeat, loves music and incorporates it into the day, he is informative and was responsive to our needs and requests. He drives a very comfortable & well maintained vehicle. Highly recommend. At Gerard's suggestion, we travelled to Killarney since the town celebrates the USA 4th of July with a parade and festival. We also visited Killarney National Park (jaunty rides and petting zoo) and the nearby Ross Castle - one of the favorites of our trip! Gerard is exceptional with children - we had 4 energetic kiddos ranging from 4 - 10 and they were constantly entertained - especially with Gerard's outstanding rendition of Molly Malone. We could not have asked for a finer day in beautiful Ireland. Our expedition included The Cliffs of Moher, Doolin Cave, Burren National Park, and the very popular Chocolate Mountain. The drive along the Atlantic Ocean was spectacular. Gerard is exceptional with children - we had 4 energetic kiddos ranging from 4 - 10 - they were constantly entertained - especially with Gerard's outstanding singing. They haven't stopped singing "Molly Malone." Relax and enjoy the sites in his comfortable Mercedes van - Gerard handles the narrow and windy roads with ease! Our experience with Gerard was great. He was very knowledgeable regarding the history and area and quite accommodating to our needs. This tour with Gerard was the best day of our entire trip! He took us on a beautiful drive around the Dingle peninsula and then added some highlights of Killarney that we would never have otherwise seen. He was patient, funny, and kind. He gave us lots of time for breaks and set us free to find a beautiful lunch in Dingle town. He shared great insights about Irish history, culture, and music. He is a professional musician with a lovely voice. We highly recommend his tours; you'll have a great day! We had 2 WONDERFUL DAYS touring Ring of Kerry with Gerard. He is warm, friendly, easy to be with & very knowledgeable about Ireland. Tour favorites were the places Gerard took us that coach tours never go, or we'd never have found on our own. You can visit Kerry's main sites on a big bus, or experience Ireland as its meant to be seen: with warmth, hospitality & laughter as you view its stunning landscapes, explore its hidden gems and learn about its history and culture. We highly recommend Gerard! We really liked Gerard - he's friendly, knowledgeable...oh - did I mention he can sing? Truly great to book with and he worked with us to create a trip that was memorable for us. He arranged for weather in the 30 Celsius range, and then having a 7 year old - he knew of a great petting zoo and other activities that avoided tour busses and truly gave us a local feel for Kerry, Skellig, and Dingle - glad we got to spend 2 days with him and wish we had more! Truly professional and a joy! Thanks! Our group recently enjoyed a three day tour in Ireland with Gerard. Our tour included the Ring of Kerry, Dingle Peninsula and the Burren. We could not have been more pleased with his services. He is knowledgeable, thoughtful, witty, fun and in every way helpful. Gerard was an excellent guide/historian! We had been to Cork before and wanted something different this visit. Gerard accommodated our wish. First off was a ride through the countryside to Kensale. Our time was spent shopping, visiting a Pub for a pint, and brief stop at the city's museum. The "Remembrance Garden" for the 9-11 firefighters who lost there lives should be included on any tour to the area. The history of Michael Collins and Ireland's freedom fight was most enlightening. A great day! Amazing! Personalized the tour to the scheduled forecast taking advantage of the clear day to get us to places almost inaccessible when fogged/rainy and making sure that we still had great views on the "soft" day as well! Personal knowledge of the area and the people REALLY added great depth! Already recommending friends and family to use Gerard in the future and you should too! These two days were the highlight of a 14 day trip full of great experiences! Our Ireland trip was superb! The man who made this trip a truly lasting, memorable, experience is Gerard! He went far beyond my expectations for a tour guide. He has impressive knowledge of his beloved country and made everyone feel as though this was the first time he had ever shown these beautiful sites to anyone. He is very professional and we feel comfortable with his easy manner and sense of humor. His confidence gave us confidence to explore new places, to appreciate a different culture. Thank you! Gerard was outstanding. He was a terrific host. Very knowledgeable. He helped design a wonderful itinerary for my mother and I during a memorable trip to the Southwest of Ireland. I would work with him again at any time. I can't say enough good things about the experience we had with Gerard helping guide us. BEST TOUR EVER! We saw that all of Gerard's reviews are good but we were still blown away by our two day tour of Ring of Kerry/Dingle Peninsula. He took us to the best spots and we loved them all. He is incredibly kind, fun, and knows so much about Irish history. A bonus: he takes great photos so nobody is left out. Our tour with him was the highlight of our trip and we can't wait to come back. Really recommend booking with Gerard, every other tour we've done doesn't compare. TOUR GUIDE RESPONSE: Hi Thank you so much for your kind review . I enjoyed my days touring and I had a great laugh . Sharing about ones country is what tour guiding is all about . Those photos are super and a memory for life . I look forward to your return visit, I think it will be soon . Thank you again give my best to all . Gerard . Jack & I had the best time with Gerard S. He was informative, a great sense of humor, on time, laid back, not intrusive but most of all showed us the Ireland that we wanted to see. We are already planning our 2nd & 3rd trip to Ireland and we are hoping that Gerard will do us the honor and continue to show us the beautiful country of Ireland!! Highly recommend. Spent 5 days with Gerard Scott in total and could have spent 5 more! Perfect from start to finish!!! 5 days with Gerard. Perfect from the start in Dublin to the very end! The drive to Ashford Castle was interesting as we saw sights along the way. Then Killarney 3 nights and back to Dublin via Blarney and Kilkenny. He made everyday special..even the day it rained the entire car trip! Once he gets to know your likes and dislikes, he tailor-makes the trip even more special. He even surprised us one night and took us to a Celtic dance show..which was a highlight! Gerard makes you want to come back!! Gerard is an excellent guide who quickly and efficiently adapted our tour to our interests. He is extremely knowledgeable of the area's points of interest. He is very patient of persons wanting to stop immumerable times to take pictures. We had a wonderful time. Gerald was the real deal and we felt extremely fortunate to have him for our tour of the Ring of Kerry. His vast history and knowledge of the area were exceptional. He took us to "nooks and crannies" others touring might miss and that was a large part of our experience. Ireland is breathtaking and more a state of mind than just looking at sites and going into pubs and shops. He gave us that and we loved it!!! We were a party of 6 friends in a cruise that arrived at Cobh, so we hired Gerard for a guided tour to Killarney, and back to the ship in time. This region is very beautiful and it is a good place to visit. Also all the countryside during the trip was beautiful. We were fortunate that is was also a sunny day... Gerard is very proud of his Country and make sure that we enjoy the trip, so it was very pleasant. He is very punctual, arrived exactly in time and took us to the ship with enough time to board. TOUR GUIDE RESPONSE: Jose Thank you for your review . I am delighted you enjoyed your tour . I look forward to seeing you next year " more shopping " Gerard . Gerard was super friendly and did a good job showing us Blarney Castle and the area surrounding Cork. Gerard was fantastic! His knowledge of the area and recommendations were spot on. He took us to places we would have never found on our own, especially the 9/11 memorial in Kinsale. Gerard was easy to work with, had a fantastic sense of humor and made our trip to Cobh so memorable. Gerard's expertise as a tour guide was readily apparent throughout the trip. That, and his keen sense of humor. He constantly entertained us with geographical, historical, and local information throughout the drive. He was also very flexible to our likes and suggestions. We look forward to another adventure with him. This was a full day in the Killarney National Park which is like heaven on Earth. Girard was very knowledgable about the area, easy to understand, a good driver, and very considerate. This tour was top notch. Everything was organized for us from the jaunting car to lunch to the boat ride so we didn't have to worry about a thing and just enjoyed ourselves. If you are in Killarney, this is a must do and Girard is the perfect guide to take you. A highlight of my trip to Ireland was my private tour of the Dingle peninsula. Gerard personalized the tour in the moment, taking into account our weather for the day and my interests.Seeing up close prehistoric monuments/ structures along the Dingle peninsula was breathtaking.The vistas along the Wild Atlanta Way-outlier islands, lush green hillside littered with stone walls and the Atlantic were extraordinary.Gerard's sense of humor, wit and delightful conversation made an 8-hour tour a real pleasure! Gerard provided a custom 6-hour tour of County Clare for my husband & me. We had a WONDERFUL time visiting sites in this beautiful area including the Cliffs of Moher and the Burren (Poulnabrone Dolmen). Given our short stay in Ireland & my interest in souvenirs, Gerard took us to Ennis to shop in the charming boutiques and to the famous Blarney Woollen Mills. He is so friendly & knowledgeable & even sang a lovely Irish ballad to us! We HIGHLY RECOMMEND Gerard! You will have a grand, relaxing time! Very good tour. Knowledgable, comfortable. Can't ask for more. Gerard was very friendly, professional, and knowledgable. Very much enjoyed our time with him touring the beautiful Kerry and Dingle peninsulas and learned much about Ireland. His vehicle was incredibly comfortable for 4 people. Would highly recommend. TOUR GUIDE RESPONSE: Thank you so much for your lovely review . I love sharing this great country and I have learned so much from those that travel to see the beauty of this land . All the Best Gerard . A wonderful 5 day tour with Gerard S. Great photo opportunities provided. Suggestions for meals and activities. Comfortable transport and terrific music. Gerard was fun, knowledgeable, interesting,always punctual and accommodating of our requests. Would highly recommend this tour. Hands down, the best money EVER spent. I would NOT go to Ireland without a local tour guide (specifically Gerard)to drive while you take in the sights. He was a wealth of knowledge, friendly, thoughtful . . Our guide went out of his way to make this the most memorable trip for me and my family. My wife and I toured with Gerard two separate days -- to the Ring of Kerry and to the Dingle Peninsula. He couldn't be more knowledgeable or more personable. We saw things that were far beyond what our guidebook pointed out, and he never rushed us through a site; in fact, on a couple of occasions, he turned the car around because he thought that the earlier view would be better for a photograph. We had a truly extraordinary experience and highly recommend Gerard for anything in the Killarney area. Our day trip to to Cork, Kinsale and Cobh Village was outstanding! Gerard is so personable, and he has great knowledge of the area! We saw so much in one day! His Irish intelligence, exposure to the famous Irish comedian, and great music in the car was so fun for our entire family. I would recommend Gerard for sure! We hope to get back to Ireland again soon! He was very good about letting us see what we wanted to see, and knew the area well. Highly recommended! What a perfect day in the Dingle Peninsula. Gerard was a terrific guide for the day, making suggestions as we went along and adjusting to the weather. We saw the area in a way that we could never have discovered on our own, seeing the hidden treasures of Dingle and learning so much. Very comfortable luxury van for 4 people. Friendly, great sense of humor, flexible, knowledgable, all in all five stars! Highly, highly recommend..even if you think you know the area, this is a marvelous tour. Gerard is a superb tour guide. So knowledgeable and extremely courteous and polite the whole day. It was evident from the time we got in his car that he was a wealth of knowledge in the area surrounding Cork. If you visit this area ask for Gerard you will not be sorry. Great tour... and a great guide! Highly recommended. We saw so many beautiful areas and learned so much from Gerard that we would have never seen or learned on our own. Gerard provided us an itinerary based off of what we we had planned of what we should do when we got to the next areas of our travels. We followed them exactly and it made for a wonderful trip! Our tour with Gerard was the highlight of our trip! He was extremely proficient but was charming & engaging as well which made our tour memorable. He recited stories of the area & would even safely stop the car along the way anytime we would want "just one more photo". As for photos, Gerard led us to several sights that we wouldn't have noticed for some spectacularly scenic shots. Gerard was knowledgeable & professional yet entertaining enough to leave us with fond memories of Ireland. Highly recommend! Hi - my daughter and I just completed a four day tour with Gerard. I have done several of these tours with a private guide or organized tour and Gerard clearly stands out as our best overall all experience. I would highly recommend him to all. Gerard was not only an enjoyable person to spend 8 hour with each day but saved us a lot of time and money. At the start he directed us to take a train vs private driver for a simple leg which saved us hours and hundreds of Euros. We had a great time with Gerard and being with him certainly made a great difference. He knows everything, showed us some very nice places in the Killarney region and then drove us to Dublin in a very comfortable car. TOUR GUIDE RESPONSE: Hi Thank you for the lovely review . I am delighted you enjoyed your tour . It was great to have such great company for the day . See you soon . Gerard . My tour experience with Gerard was fantastic! He is full of knowledge and the experience exceeded all expectations. 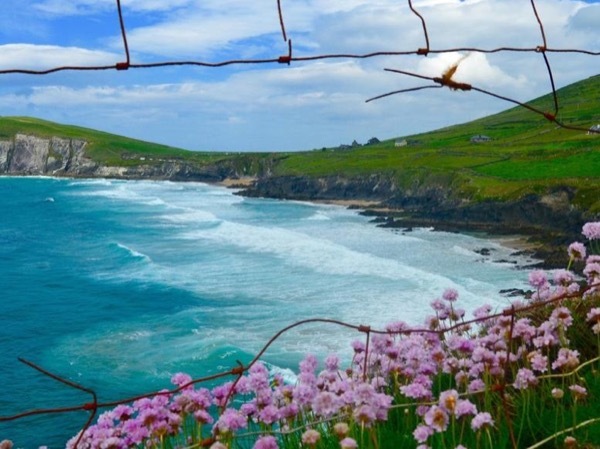 Our tour of the Dingle Peninsula was one of the happiest days of my life. I thank Gerard for his information and help. I would love to return to SW Ireland and have Gerard be my guide on more Irish adventures. He has a great personality and is also multi-talented with his music and photography. A tour with Gerard will make anyone's tour very special and meaningful! TOUR GUIDE RESPONSE: Thank you so much for your lovely review . " one of the happiest days of my life " that makes me so happy . It was a lovely day and a joy to share this wonderful place . Gerard . Our tour was a visit to Torc Waterfall, Muckross House, Gap of Dunloe, and the lakes of Killarney. This was a great tour and overview of the Killarney countryside. We spent just enough time at Torc and Muckross so we could focus on the horse ride through the Gap and boat tour back to Ross Castle. Beautiful sites and was a highlight of our trip. Gerard is a fantastic guide with lots of information on the area. Definitely a must do! TOUR GUIDE RESPONSE: Good Morning Thank you so much for your kind review . I hope you review will help others to follow your route and enjoy this wonderful place - Killarney . Thanks . Gerard . TOUR GUIDE RESPONSE: Hi Thank you for your review . I am glad you enjoyed your tour .Hope to see you in Ireland before long . Gerard . Gerard is very personable. He was on time (to a "worry wart", that is vital). Very knowledgeable. I personally, and we (seven) as a group would recommend him most highly. Next trip.I will certainly look into scheduling tours through "tours by locals". Gerard was an amazing tour guide -- full of knowledge, humor and an amazing Irish singer. We had a fabulous day touring and enjoying Kinsale. I and my 3 other travel mates recommend him highly! TOUR GUIDE RESPONSE: Thank you so much for the lovely day we had . I hope to see you in Killarney and you are ready to explore the South West of Ireland . Would highly recommend - Great knowledge of the area and extremely engaging with members of our party of 6. Provided flexibility during the day to optimize our experience while ensuring we got back to our ship on time. TOUR GUIDE RESPONSE: Thank you so much for a lovely day . I hope you will return to the country in the near future . See you at the airport ..... Gerard . A very nice man who we had a great time exploring the Dingle Peninsula and asking many questions about the beautiful country of Ireland. TOUR GUIDE RESPONSE: Hi Dingle and Slea Head a must when you visit Ireland another great day . Thank you . Gerard . Beautiful weather, lovely countryside and a very nice,knowledgeable man who was fantastic at showing us Ireland. TOUR GUIDE RESPONSE: Hi Thank you so much for your kind words . It was great to share the beauty and I hope you captured some great images to keep for ever . Thank you Gerard . Gerad was fantastic. We saw some of the major attractions and he took us on some back roads to sites that we would have never seen. He is very knowledgeable. Highly recommend his services. TOUR GUIDE RESPONSE: Hi thank you so much for your comments . Dingle is a great tour of course everyone should watch the movie Ryan's Daughter before or after the tour . Explore the Blasket Island Story . Dingle the home of the Ogham . Thanks . Gerard . This was our first experience using a local tour guide and we can't praise Gerard highly enough. He's a witty, considerate, knowledgable gent who was eager to share his beautiful country with us. He just has a facility for being with people. Gerard created a memorable day for us as we toured Dingle and the Slea Head. TOUR GUIDE RESPONSE: Hi Thank you very much for your wonderful review . I am so happy you enjoyed the beauty of Dingle and Slea Head . Hope to see you next year to enjoy some other great little hidden gems . Thank you . Gerard . Gerard, our Ring of Kerry driver/guide, was absolutely wonderful and I would highly recommend him to anyone! What a kind and hospitable man! He was a wealth of knowledge and from what I hear from the locals, he's a great singer and owns a B&B (although he didn't tell us that - LOL). He's also extremely professional! He's a very charming man! Apparently, he went back to college to get a degree in tourism/hospitality! He must have been an excellent student because he was fantastic as a guide!! TOUR GUIDE RESPONSE: Hi I will have to get after Kevin in that wonderful Hotel The Aghadoe Heights, he has to be the local. I am so happy you liked your tour and you never said a word about the tour of the chocolate factory and all the free tasting we did . I love sharing this great country and each and everyday I see something new to share . You know I also learn so much from those I tour with ,a great experience. Thanks Gerard . The weather was not very cooperative on the day of our tour so we ended up modifying the tour that morning. We still went on the jaunting car ride but then skipped the boat ride and headed to Dingle for a food festival that was going on that day. Gerard was very accommodating....stopping for photographs and modifying the tour...we had a lovely day despite the weather. The vehicle we rode in was larger than we needed (16 passenger?) but was very comfy and the driver Anne was very sweet. This tour earns five stars for several reasons: the charming guide, Gerard S, picked up our group of four promptly at the dock in his comfortable Mercedes. A life-long resident of Killarney, he knows his beautiful territory from A to Z; he is professional and courteous; and, his being a former, now-retired, police officer offers an added sense of competence and safety. Also, he is an excellent storyteller. Not only I, but our entire group could not recommend Gerard's tour more highly! TOUR GUIDE RESPONSE: Thank you very much for your wonderful review . I am so happy you have shared your experience with others on this great booking site . I am delighted you liked Kenmare ,Killarney and the National Park I do hope we meet again on your return trip to Killarney where you can explore the entire County of Kerry and even visit the Cliffs of Moher all from one great base in Killarney . Thank you again Gerard . My husband and I spent three magical days in southwestern Ireland with our tour guide Gerard! Gerard is very knowledgeable and took us to the places that we were interested in experiencing since this was our first trip to Ireland. We really appreciated his flexibility and thoroughly enjoyed his company. If we get back to Ireland, we will definitely request another tour with Gerard. Touring with with Gerard is highly recommended! Gerard was an excellent tour guide. He met us on time from the ship, and tailored the tour to our small groups preferences without issue. He kept us entertained on the drives between towns with traditional Irish music and comedy (as well as excellent commentary). Plus, he's one heck of a singer! Ask him to do "Danny Boy" for you and I'm sure you'll agree! I highly recommend Gerard. Thanks, Gerard and hope to see you again soon. Gerard was great. He was able to provide us with ample time time to see all that we ask. It was the best tour of our trip. TOUR GUIDE RESPONSE: Hi Thank you so much for your comment "best tour of our trip" it is lovely to read that . Thanks and I do hope to see you when you return to Ireland . Gerard . Gerard is 'the' guy to go to. He listened carefully to what I am interested in and constructed the perfect tour for me. He's very charming in that Irish way, and a pleasure to be around and he knows when to stop talking, which most guides don't. He went out of his way to pick me up the next day to make my solo adventures much easier on me. I offered to pay and he said no, which is really refreshing. He also made great suggestions on how I could spend the rest of my time in Ireland. Gerard took my mom & I on a tour from Killarney through the area around the Dingle Peninsula. He was very knowledgeable about the area, listened carefully to the preferences we articulated & was delightful company. His familiarity with the area allowed him to take us to a few of the lesser-travelled spots in the area, we appreciated this part of Ireland so much more because of his suggestions & careful use of time. He was absolutely wonderful, we'll always remember our lovely day with him. Great tour of Cobh! Our family of five (including 3 teens) enjoyed all the sites. We really liked going to the zoo! Thanks! Gerard was a great guide and we reaslly enjoyed our day with him. He was knowledgeable, funny and friendly. It was a great tour. Gerard did a fabulous job! He showed us everything and really made the day enjoyable for us. He was very flexible and showed us the things we were interested in. I would recommend him to anyone! Gerard is the best! I was on a tour of the Killarney National Park with my group instead of at my hotel where we'd agreed he'd pick me up, but after a phone call from my tour leader it was no problem for Gerard; he was at the park in minutes and off we went to North Kerry, which has been my lifelong dream to see. We visited Ballybunion and also the Bromore Cliffs. where my grandfather left in 1887, and ate lunch at Hanrahan's Restaurant, I may be related to the owners. Gerard showed me the best time ever. TOUR GUIDE RESPONSE: Thank you for your kind review . I loved touring with you . You passion and great history of Ireland your love of your people it was beyond belief . Looking forward to seeing you in 2014 . On this fourth day, Gerard was our guide. When poor weather prevented us from seeing the Cliffs of Mohar, he should have mentioned that there was a visitors interpretive centre that we could have visited, which would have salvaged something from the day. At other stops, he did say to take our time but we did not feel that he meant it. The tour was supposed to end at Rossaveal but ended in Galway instead because he had an evening engagement. He was very pressed for time. TOUR GUIDE RESPONSE: Sorry to hear that you were disappointed. We had a very full itinerary, it was a very foggy day and to compensate the fog at Cliffs, we went to Doolin for lunch and shopping and remained there for 1.5 hrs. It was my impression that seeing Galway was a higher priority. The tour was actually scheduled for 7 hours and we ended up spending 9 - which is the driving limit for licensed drivers in Ireland. That may have contributed to your sense that I was pressed for time . TOURSBYLOCALS RESPONSE: The review above came as a shock for Gerard and for us, mainly because his reviews prior to this were mostly 5 stars. His guide support manager discussed the matter with him and they discussed ways of avoiding situations like that. On this third day of our tour with Ann, we were sorry to have her leave us as we had enjoyed her company. We especially appreciated her guidance and encouragement at the Listowel Races. It was such fun. Unfortunately, we did not win. On this second day of our time with Ann, we liked the fact that she was willing to talk about her life in Ireland. It gave us a glimpse into the lives of real Irish people. She was very outgoing and had a friendly, bubbly personality. She also had good firsthand knowledge of all the locations. The night before we were supposed to be picked up, our original guide Gerard left an unexpected message to the effect that instead of the agreed upon 9 a.m., "someone" would be there for us at 11 a.m. When the time came, Ann appeared. She was a fully qualified tour guide, did a great job of showing us around and gave every impression of being willing to bend over backwards to please us and accommodate our needs. We were a little surprised though that Gerard was doing another tour instead of ours. Excellent and well informed tour guide. Gerard tailored the tour to our interests and provided great insights to the areas visited. His knowledge and passion for all things in County Kerry is impressive. We highly recommend him for any future visitors. TOUR GUIDE RESPONSE: Good Evening Thank you for your kind comments . Hope your doing well . Gerard .